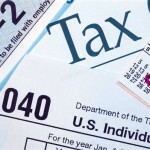 Some of the costs of a LASIK eye surgery can be offset by tax deductions. LASIK eye surgery has been proven to save money over years of glasses and contact lens wear and every year of delay costs the individual contemplating vision correction surgery hundreds of dollars in potential savings but recent changes in tax laws can make a delay even more costly. That’s because new provisions in the Affordable Care Act, (commonly referred to as ObamaCare) raise the threshold for deduction of medical expenses from 7.5% of adgusted gross income to 10% of AGI. In addition, individuals who participate in Flexible Spending Accounts at work will find allowed contributions of up to $5000 in 2012 drop to just $2500 in 2013. LASIK eye surgery is recognized as a legitimate medical expense by the IRS because it improves body function. In addition to the cost of the procedure, travel expenses associated with it are also deductible for those taxpayers who itemize. Because of the looming changes in the tax code and todays advances in LASIK technology, there may never be a better time to have vision correction surgery. But time is running out and patients interested in the tax savings should check with their accountant to be sure they are eligible.